Judge Pamela Taylor Johnson is an Ordained minister, the wife of Ernest Johnson, the mother of Ernie Johnson and Taylor Johnson, and the grandmother of E’nayla Johnson. Judge Pamela Taylor Johnson was born the seventh of ten children to Mr. Prince and Annie Taylor in Magnolia, Mississippi. She obtained her Bachelor of Science Degree in Business Management from Jackson State University and her Juris Doctor from Southern University Law Center. Prior to her first term in the Judiciary, her legal career began as Partner in the law firm of Johnson, Ritzie, Taylor and Thomas. Thereafter, Judge Johnson was admitted to practice before the Louisiana Federal District Courts, Federal Appellate Courts and the United States Supreme Court. She has held many positions as a practicing attorney, including but not limited to: Managing Attorney, Staff Attorney, General Counsel for Louisiana Department of Education, General Counsel NAACP Louisiana State Conference, and Co-Counsel on the Clark vs. Edwards case; which made it possible for African Americans to be elected to the Judiciary in the State of Louisiana. In addition to pioneering the landscape as a lawyer, Judge Johnson has also been at the forefront of reform as a Judge. In 1994, Judge Johnson was elected as Judge for East Baton Rouge Parish Juvenile Court, to fill an unexpired term. She was re-elected for a second term of office in 1996, third term in 2002, fourth term in 2008, and in 2014 she was elected to a fifth term in office. She has worked with other elected officials, public servants and community leaders to create an alternative school program to serve at risk youth. After her first year on the bench, Judge Johnson created the Juvenile Justice Community Task Force which led to the creation of the first Juvenile Drug Court Program which provided treatment services, regardless of income, to all children in the parish. She was also instrumental in establishing a Boy Scout Program for juveniles within the Juvenile Court System. Judge Johnson continues to serve on the bench and has done so for the past 22 years, continuing to dedicate her life to helping children through service and her love for the law. Judge Johnson has always worked to uplift people and her community. In keeping with that commitment, she gave local attorneys an opportunity to serve as Judge Ad Hoc for her. Judge Johnson further provided opportunities for attorneys to serve as faculty on continuing legal education programs that were planned by Judge Johnson. Just as Judge Johnson’s career choice impacts the health and education of our children, her civic endeavors demonstrates a similar commitment. Judge Johnson serves and has served on numerous boards and committees on National, State and local levels. 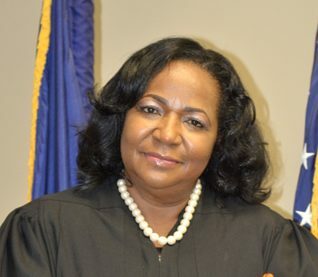 Judge Johnson is an active member in a number of legal and civic organizations, and societies such as: the Louisiana Judicial Council, National Council of Juvenile and Family Court Judges, Judicial Council National Bar Association, National Association of Women Judges, life member of the NAACP, Alpha Kappa Alpha Sorority and Jackson State Alumni Association. She also serves as an educator. Judge Johnson serves on the faculty as an Adjunct Professor at Southern University Department of Criminal Justice and is a registered Parliamentarian. She is an active member at her church Full Gospel United Pentecostal Church in Baton Rouge and many other civic and community organizations. Judge Pamela Taylor Johnson draws her wisdom and fortitude from all of her experiences as wife, parent, community member, advocate for children causes, and most of all, the word of God. It is a rich compilation of these attributes that makes Judge Pamela Taylor Johnson uniquely suited as Judge.